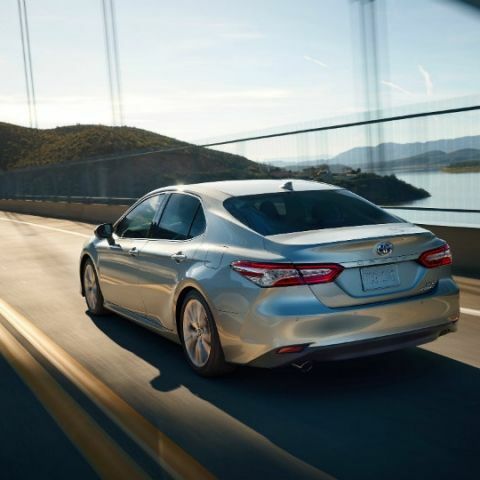 The new Toyota Camry Hybrid features increased wheelbase and is expected to feature more sophisticated tech like pedestrian detection and radar-based cruise control. The ninth-generation Toyota Camry Hybrid has been spotted in camouflage exactly a month before its India launch. 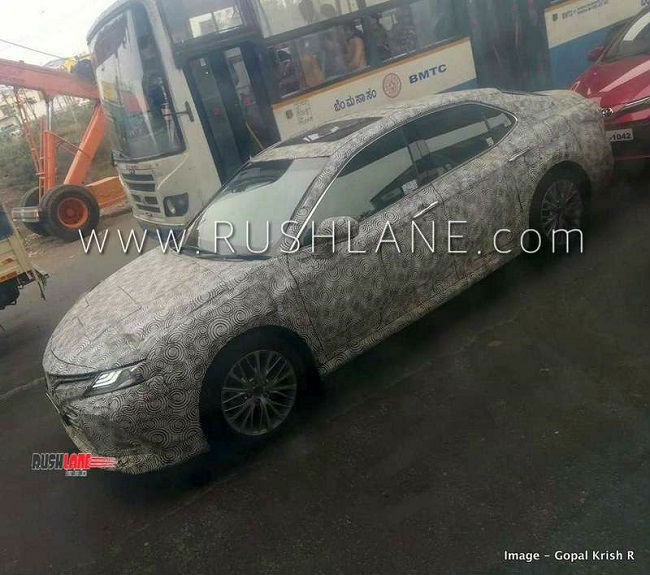 RushLane published a spy shot of the popular Japanese sedan when it was reportedly being tested in Bangalore. The new Camry Hybrid will replace the outgoing model that’s been on sale for the last six years. It’s expected to sport a longer wheel-base and be more sophisticated on the tech front. Like the outgoing model, the new Toyota Camry Hybrid will be manufactured in India and employ a hybrid powertrain that houses both, a petrol engine and an electric motor. The new Camry Hybrid will be based on the GA-K architecture that’s shared with the Lexus ES300h. The wheelbase of the new model has been upped by 50mm, leaving it at 2,825mm. On the outside, the new Camry Hybrid is said to sport a V-shaped grille and feature sharper edges all around. The raised boot lid gets new tail lamps as well. On the inside, there’s an 8-inch screen for the infotainment system and a 10-inch colour display for head-up information. The heads-up display should show essential info like current driving speed and navigation steps. The instrument cluster ditches traditional dials for a 7-inch multi-information display. Seats are powered and cooled and there’s a 9-speaker JBL sound system along with climate control and a wireless smartphone charging system. On the safety front, the new Camry Hybrid gets numerous airbags all around the cabin, a pre-collision system with pedestrian detection, radar-based cruise control and lane-departure alert. The 4-cylinder petrol engine, combined with the 88kW electric motor, produces a total of 205 horsepower. The new Camry Hybrid is expected to launch on January 18 next year at a price of around Rs 38 lakh. When launched in India, it will compete against the likes of the Honda Accord Hybrid and the Volkswagen Passat.